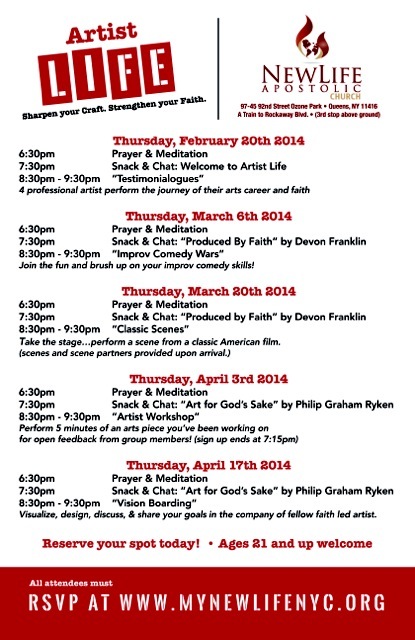 Come experience a fun, new group focusing on the strengthening your art and sharpening your faith. See the flyer for more info. Click the button to sign up!